Energy drinks such as Red Bull, Rockstar, and Monster — laced with high doses of caffeine (up to seven times the amount in a cup of strong coffee, or 14 cans of cola) and other stimulants — have been shown to increase blood pressure, cause heart racing, and increase anxiety, in a study published last fall by Johns Hopkins Medicine. The researchers found that healthy adults who drank two cans a day of a popular energy drink experienced a 10-point increase in their blood pressure and a five- to seven-beat increase in heart rate. The study is published in March in the Annals of Pharmacotherapy. These are “healthy adults” being affected this way. But our children are also downing energy drinks in record numbers, looking for a quick after-school pick-me-up, or as a sports booster, without understanding the real risks. With their smaller bodies, the 50 to 500mg of caffeine typically found in one can will have much greater effects on children. There is also a concern that children are becoming addicted to caffeine because of energy drinks. The PEI Medical Society and the Maine Legislature want sales of energy drinks to children banned, after more and more children are showing up in emergency rooms and school nurse rooms with symptoms of caffeine intoxication, from elevated heart rates and blood pressure to headaches, sweating, anxiety, palpitations, nausea and sleep disturbances. The symptoms of over exposure to caffeine had become serious enough for the Florida Poison Control Center at the University of Miami/Jackson to begin tracking it last year. The caffeine over exposure tracking discovered children as young as two were being brought in to Florida emergency rooms for symptoms resulting from drinking an energy drink containing excessive amounts of caffeine. Opponents to this measure believe that it would be unenforceable, and that it should be a parent’s responsibility to educate and monitor their own children. Ideally this would be true, however, it seems that education of adults is necessary first, since frequently parents are the ones providing these drinks for their children in the first place. Energy drink industry representatives maintain that their products are not marketed to children, and in fact “not suitable for children” is plainly printed on the label of most drinks. However, advertising campaigns centered on extreme sports, implying that the drinks are performance enhancers, are very appealing to young people, and we seem to have not noticed the warning labels. These studies, while new, are only confirming fears that have been around for years. But new energy drink products have continued to come on the market and sales have continued to skyrocket despite these concerns. Johns Hopkins experts are saying the warning labels need to be more prominent and include information on caffeine overdose, just as over-the-counter caffeine pills already do. If you’re looking for a quick energy boost, try these natural alternatives. They won’t leave you dehydrated, coming down from sugar highs, or in the emergency room. to psychosis and from slight muscle stiffness to multiple sclerosis. they are hidden under the pharmacodynamical effects of caffeine. depression start at the same time or after the physical symptoms. with or without peripheral neuropathy. tests can be made in 3-5 days after introducing the chelating agent. fast. Porphyrins are known to cause kidney failure and liver cancer. People need to know the negative affects of caffeine. It’s bad enough people are drinking so much coffee, but then these energy drinks not only with caffeine levels thru the roof, but high sugar content or High Fructose Corn Syrup. Caffeine is an addictive drug with many side effects. I actually wrote an article: The Secret Side Effects of Coffee: Your Health is at Risk! 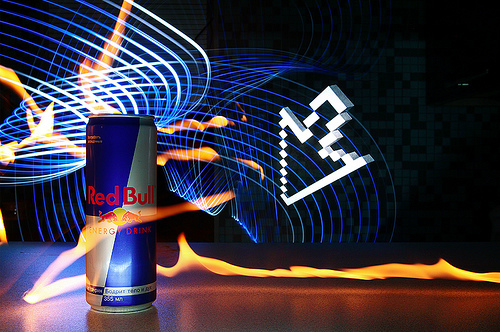 The Red Bull energy drink has long been a popular sports drink among young consumers. However, Red Bull energy drink side effects are under scrutiny, as the world embraces a new era in health consciousness. Energy drinks, cigarette, fast food — all leading to unhealthy living. This is an issue concerning lifestyle. It’s better to prevent than cure. Better try the natural alternatives and live with it if we wanted to stay healthy and live long.